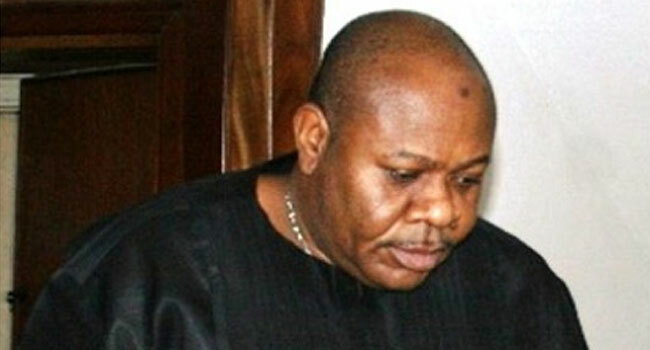 The Economic and Financial Crimes Commission (EFCC) has re-arraigned alleged fraudster, Fred Ajudua, on a 10-count charge of defrauding a German, Zaid Abu Zalaf of the $1million. At the Special Offences Court sitting in Ikeja, the Lagos State capital, Mr Ajudua pleaded not guilty to the charges bordering on conspiracy, obtaining by false pretences and forging of documents. Presiding Justice Mojisola Dada also dismissed an application brought by Ajudua’s counsel, Mr Olalekan Ojo, asking the court to recuse itself from the case on grounds of likelihood of bias. The judge held that three petitions written by the defendant on the issue in the past had exonerated her as she had been given a clean bill by the Chief Justice of Nigeria and the National Judicial Council (NJC). The court subsequently took the testimony of the German on how he was allegedly defrauded and adjourned till Thursday, December 6 (today) for cross-examination of the witness.